Autocine El Sur: Is one of the many famous cinema theatres in Spain, in the beautiful city Alicante. Both International and Spanish movies are visit here. This theatre also boasts of a snack bar and a high-definition digital projection screen. CINEBOX Plaza Mar 2: It features giant screens, 2,800 seats, 16 rooms with double-tier seats in arm, free access to the hall, THX digital sound, cafeteria and bar overlooking the sea. 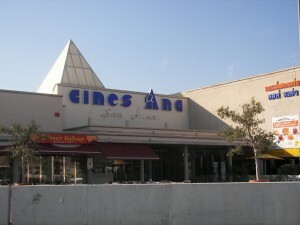 Cines Ana: One of the two remaining cinemas in Alicante city centre, features 3 screening rooms and is located next to the Place of the Sta rs of Alicante, inn the town of San Juan. This theatre is known for screening latest International and Spanish films. Cines Astoria: The cinemas Astoria are among the few outdoor rooms left in Alicante. Located in Benidorm . 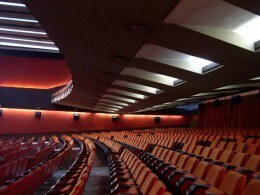 The theatre features both International as well as Spanish screenings. Condado Denia: is located in the coastal city of Denia which lies to the north of the province of Alicante. The theatre screens both Spanish and international movies. Cine ABC Elche 3D: is part of the Cine ABC group that has i ts branches all over Spain. 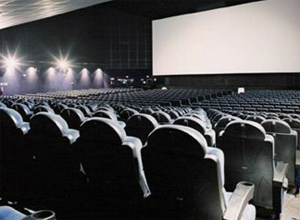 It is a state-of-the-art 3D movie theatre with all the latest audio & visual technologies. 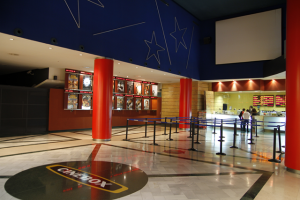 Cine ABC Alcoy is part of the Cine ABC group that has its branches all over Spain. 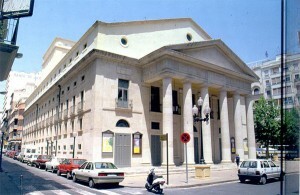 Principal Theatre is the main theatre in Alicante for hosting cultural festivals, concerts, dance and opera. The theatre has nearly 160 years old and was constructed on the initiative of its architect Emilio Jover. Initially it was named Nuevo Theatre , but later on renamed as Principal Theatre . Theatre Arniches located in the Called del Theatre building, which is known for its architectural beauty. The first play that was staged here was “Guzman el Bueno” in 1847.